According to the opinions of some, Serbia is progressing strongly in the digital transformation process, while on the other hand, due to delays lasting decades, we are lagging behind the e-solutions of developed countries. We discussed the potentials and challenges of digital transformation with Mihailo Jovanović, Director of the Serbian Government Office for IT and eGovernance. Where would you place Serbia between those two extremes? – The concept of digitalisation, which was adopted at the suggestion of Prime Minister Ana Brnabić as one of the priorities of the Government, very quickly began producing successful and visible results. On the one side, with the efficient adoption of laws and bylaws that define and regulate this domain and, on the other side, with the fast implementation of new electronic services, and, on the third side, with the continuous growth of the ICT sector in Serbia, which has exceeded a five per cent share of GDP, has led to Serbia quickly being recognised in the region, but also in global terms, as a country transformed ‘overnight’ by digitalisation. The Prime Minister’s concept is strongly based on the promotion of knowledge, young and talented experts, and development based on new technologies, which is why we are progressing on the mentioned scale by “seven-mile” steps. What are the preconditions for the further development of this sector and what kind of role does it play in fostering economic growth? – We expect exports from the information technology sector to exceed a value of 1.2 billion euros by the end of the year, compared to the 2017 total of around 900 million euros, which places this sector among the top three export sectors, in addition to the automotive industry and agriculture. The main precondition for the further development of the IT sector is the reform of education, which the Government is continuously implementing. Quotas for enrolment in technical faculties have been raised by 20 per cent, information technology and computing have been introduced as a compulsory subject in primary schools, several rounds were launched within the IT retraining programme, while 40 specialised IT departments have been introduced to secondary schools. Moreover, as of this October, all new entrepreneurs registered with the National Employment Service for a minimum of six months will be exempt from paying taxes and contributions for up to 10 employees. This tax break will be valid in the first year of starting a business. In which areas does the government need the greatest support and, in that context, how would you assess exchanges of experience organised through the “Dialogue for Change” project, which focused on digitisation/ digitalisation? – The recommendations we receive through the Foreign Investors Council’s White Book are of great importance to us. The experiences of developed countries and global companies are important to us, as they provide us with the best models that we can also apply in our country. We are focused every day on developing the infrastructure of electronic governance and new electronic services for citizens, the economy and the state. The Government has formed a special body – the Coordination Council for eGovernance, which – alongside state representatives – includes representatives of universities and the non-governmental sector, which merely testifies to an openness and readiness to quickly adopt and implement good solutions. 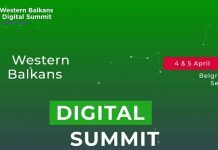 By the time the next regional Digital Summit is held in Belgrade, we could see the mutual recognition of electronic identification of citizens and the economy come to life in the Western Balkan region. What would that mean tangibly for investors? – It is very important that, alongside the Summit of Western European countries, the Digital Summit has also been established, which should coordinate activities at the highest level and agree on the future implementation of digitisation policies. We will advance quickest in this domain if we all cooperate together regionally and exchange experiences. I expect mutual recognition of electronic identification among the citizens and economies of the Western Balkans to be established by the next summit, which will be held in Belgrade. This is an important issue for us because acknowledging electronic identifications of citizens and economies in the Western Balkans represents the basis for the cross-border use of eGovernment services, while regional cooperation and improving relations with neighbours is also among Serbia’s foreign policy priorities. 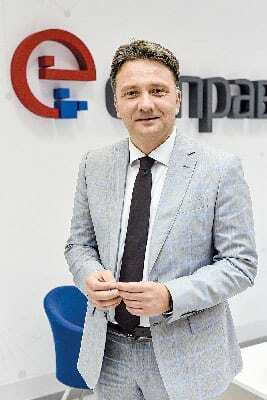 Key laws governing eBusiness were passed recently, but Prime Minister Brnabić complained that many bodies find it tough to relinquish their stamps. Based on your experience, how prepared is public administration to accept e-solutions and apply them consistently? – I believe that educating public administration employees is crucial when it comes to applying new technologies in their daily operations. When we established the eZup information system, resistance among public administration personnel was pretty high, as it brought major changes to daily work, which the employees nevertheless grew accustomed to quickly. This information system connects the country’s largest databases – those of the Ministry of State Administration and Local Self-Government, the Ministry of Internal Affairs, the National Pension and Disability Insurance Fund, the Central Registry of Compulsory Social Security, the National Employment Service, the Ministry of Justice, the Tax Administration of the Republic of Serbia and the National Geodetic Authority. They all enabled access to a total of 25 of their databases via the Government Service Bus [Servisne magistrale organa]. The eZUP information system is today used by the staff of 350 different public administration institutions. This system allows civil servants to electronically access data pertaining to a citizen who has come to use state administration or local government services. The use of information technology brings us great savings in terms of time and money. With the introduction of eZUP, in the first year citizens saved 500,000 hours waiting at counters, while the state saved about 20 million dinars on printing and issuing paper documents. Despite these laws having been passed, the necessary bylaws are lacking. When can we expect them? – With the adoption of the Law governing electronic business in October 2017 and the Law on electronic governance in April 2018, Serbia eliminated all obstacles to the faster development of eGovernance and provided legal regulations in full for the complete digital transformation of state administration and local self-government. This October will see the adoption of a complete set of bylaws that will define the infrastructure of electronic administration (State Data Centre, State Cloud, use of the information and communication networks of electronic administration) and the obligation of state bodies to conduct administrative procedures electronically. Although e-commerce is advancing at lightning speed, investors are of the opinion that there still obstacles in this domain. Which of those can be removed and are within your scope of work? – The Office for IT and eGovernance has enabled all users of the national eGovernance portal to pay administrative fees electronically for all services available on the Portal. Payment is available via the national Dina payment card, MasterCard, Maestro or Visa payment cards of all banks operating on the Serbian market, as well as electronic money. Citizens can also pay for eGovernment portal services via integrated electronic banking – this is the first time this type of electronic payment method has been enabled on internet portals in Serbia. There is a constant open call for banks to provide existing models or, jointly with the Office, develop new models of electronic payments. We also strongly support the NBS’s initiative to introduce instant payments, which starts as of October, and I believe this will significantly improve conditions for the further development of e-commerce in Serbia. How will the introduction of e-inspectors change the way inspector services function? 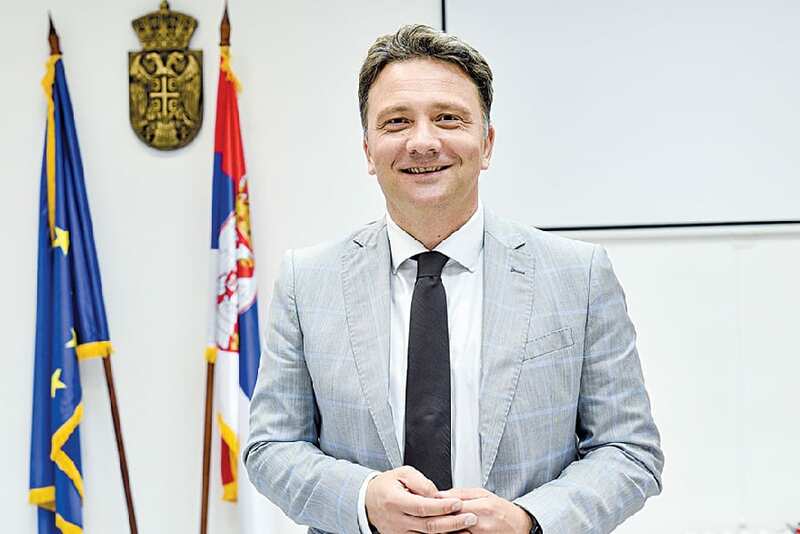 – The reform of inspection oversight in the Republic of Serbia implies the securing of better protection of the public interest with a reduction in the administrative costs of inspection oversight and increasing the legal security of those subjected to inspection control. Introducing an eInspector information system will provide better coordination between inspectorates, automation and better efficiency of oversight, standardization of inspection work, availability of data to all inspections, and consequently reduction of costs for the economy. 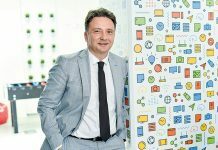 The Office for IT and eGovernance has signed a contract on the implementation of the eInspector project, which will enable the computerisation of the work of 41 inspection services in the Republic of Serbia by May 2019. As of this autumn, trial work will begin with the first four pilot inspections (Sanitary Inspection, Market Inspection, Labour Inspectorate and Administrative Inspectorate), which employ around 700 workers. How much do you work with young innovative teams on the development of e-solutions? How can their know-how and innovation be utilised in the further development of eGovernance? – Serbia needs to rely more on domestic brains and creativity and to include colleges, academies and all citizens in the demanding digital transformation process, and not foreign corporations. I’m proud of the agreement we have with five prominent technical faculties in Serbia – the University of Novi Sad’s Faculty of Technical Sciences and the University of Belgrade’s Faculty of Organisational Sciences, Faculty of Mathematics and Faculty of Electrical Engineering. I personally consider the inclusion of higher education institutions is being of great importance and that, together, we can implement innovative projects, exchange scientific experiences, but also involve young students through practical work experience programmes in the Office. Moreover, this April we organised the first #CodeGovernment Hackathon, with the help of the Office of the Serbian Prime Minister and the Digital Serbia Initiative, with the aim of devising software and conceptual solutions as part of the Portal, which will ease communication between citizens and public administration, enabling citizens and the economy to access electronic services with a “click”. Over 50 young people, in 15 teams, competed continuously for 48 hours in Belgrade and Niš, with the prize money for the three winning teams amounting to a total of $7,500, intended for the purchase of technical equipment. Naturally, I don’t expect us to solve all problems in 48 hours, but cooperation between the economy and the state is of great importance, because only together can we create solutions that will benefit all citizens.